Part of being an Oklahoman is always knowing where to seek shelter. QuiBids is based in Oklahoma City and the vast majority of our employees were either raised in Oklahoma, educated here, or both, so we know better than most what you’re supposed to do in the spring when the cold and warm fronts collide and tornados start spinning. Yesterday’s storms brought destruction on a massive scale in central Oklahoma, specifically Moore (an OKC suburb where several QuiBids employees live) and Shawnee, a smaller city east of the OKC metro. Whole houses were leveled and as of this post publishing, the state medical examiner has reported that 24 people are dead. But if there is hope to hold on to, not just in Oklahoma but around the country, it’s the knowledge that the good people there and in Oklahoma are better prepared for this type of storm than most. And what they can be certain of is that Americans from every corner of this country will be right there with them, opening our homes, our hearts to those in need. Because we’re a nation that stands with our fellow citizens as long as it takes. We’ve seen that spirit in Joplin, in Tuscaloosa; we saw that spirit in Boston and Breezy Point. 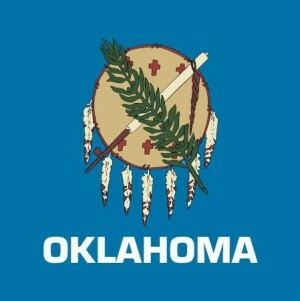 And that’s what the people of Oklahoma are going to need from us right now. He’s right, and we encourage you to give to the cause of our community right now, which is badly hurt and in need of aid. Also, stay tuned because we’ll be hosting some charity auctions later this week, of which 100% of the benefits will go to disaster relief. One last note before I get on to the ways to donate: It’s really gross and scummy but in times of tragedy, scam artists come out of the woodwork to cash in on people wanting to donate to relief efforts. All these non-profits and organizations below have been verified by Oklahoma City news media as entities that are not only legitimate, but will put their received funds directly toward disaster relief efforts. Donations to Red Cross will help provide food, shelter, and emotional support to people in Moore and Shawnee who need it. You can do that immediately by texting REDCROSS to 90999, which will make a $10 donation, to be added on to your next phone bill. So please head to Red Cross Oklahoma City’s page right now and do your best Kevin Durant impression. @kdtrey5 steps forward and gives $1mil matching gift to the ARC for disaster relief, text “REDCROSS” to 90999 for a $10 donation. Donating by phone is also an option. Call 1-800-725-2769. We care a lot about the Regional Food Bank of Oklahoma, and they’re using their many resources to help feed and hydrate people affected by yesterday’s storm and the many relief workers currently helping them. Go to the Regional Food Bank’s site to make a secure donation. There’s always a need for blood for medical workers and right now is no different. If you’re in central Oklahoma we urge you to donate to your nearby Oklahoma Blood Institute donor center. You can also give financially to OBI here. Feed the Children’s secure donation site is set up here. Thank you QuiBids customers for helping our community out in its time of need.